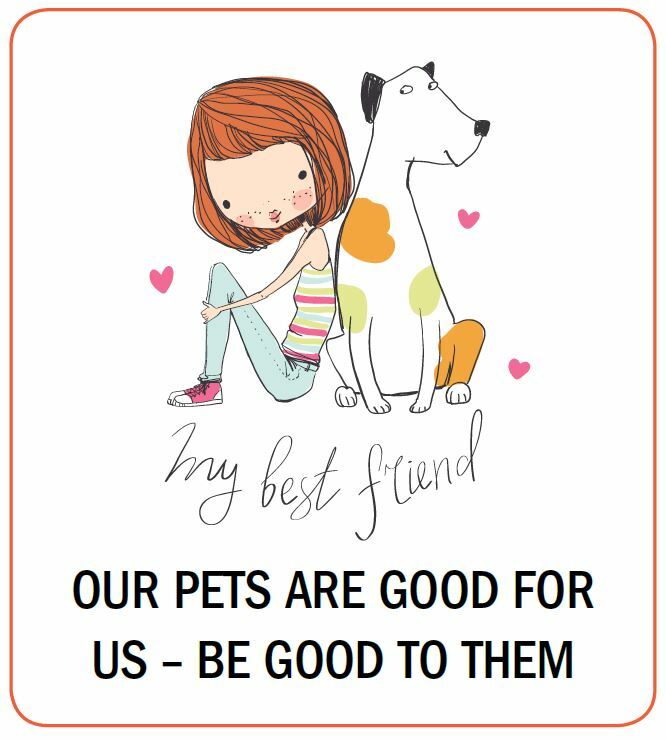 While we need to be good to our pets, pets have been shown to be good for us too. Separate NOAH research showed that 87% claim to be happier as a result of owning a pet and around half (48%) believe that spending time with their pet reduces their stress levels. More than one in five (21%) state they are at their happiest when spending time with their pet, and a quarter believe they have become more active since owning a pet. 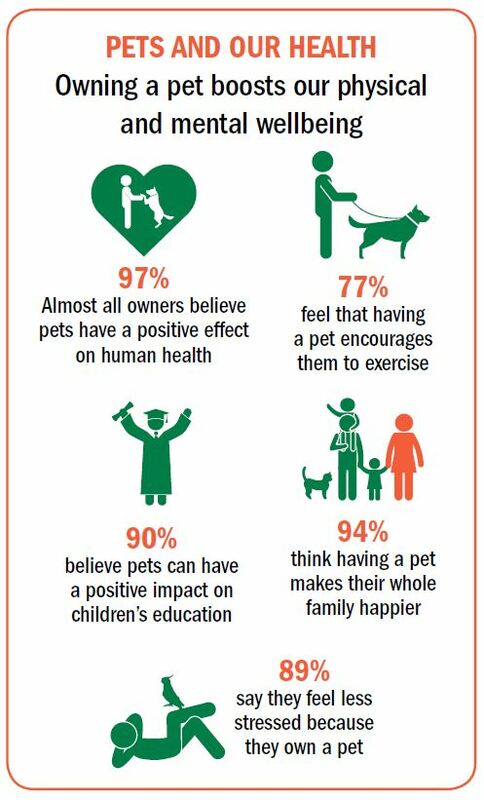 10% claim that they are more aware of their own health needs as a result of owning a pet. 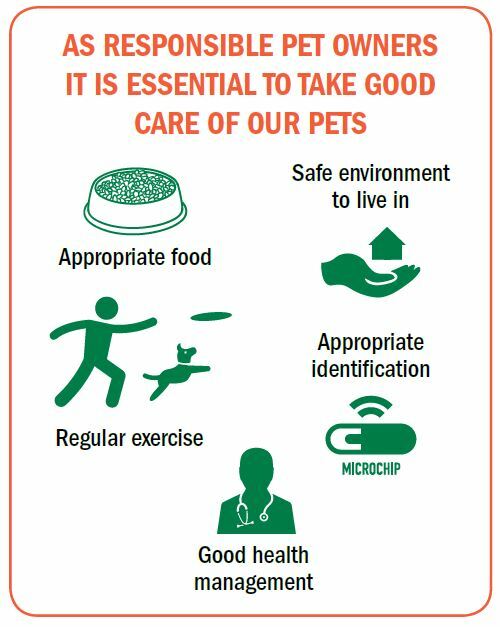 There are many ways that we can help keep our pets healthy. 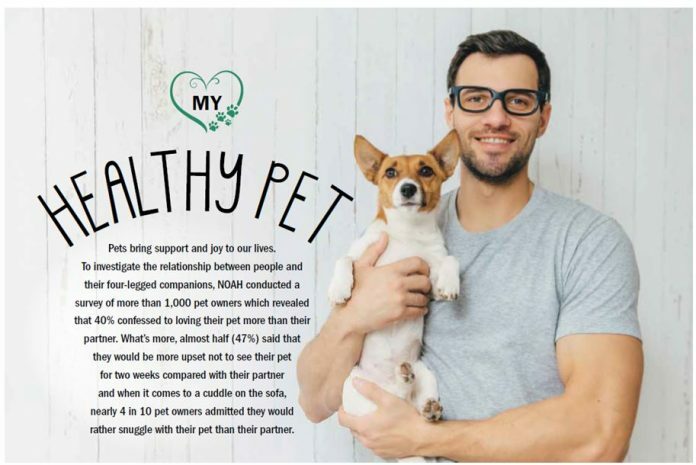 Despite our love for our pets, owners can neglect to take preventative healthcare measures such as vaccination and worming – with our busy lifestyles it’s easy to overlook. Dogs are susceptible to a range of infectious diseases that can have a serious effect on their health and welfare. Fortunately, vaccines have been developed to tackle many of these disease threats. Just as in human medicine, it makes sense to prevent, rather than to try and cure, whenever possible and vaccines are the cornerstone of any preventative medicine approach to good health and welfare. Indeed, because they have been so successful at controlling disease, the importance of vaccination can sometimes be forgotten. While some infectious diseases are not necessarily on the radar of every dog owner, there is continued wide distribution of canine parvovirus, kennel cough and indeed even a re-emergence of confirmed cases of canine distemper, meaning the threat of infectious disease to our pets remains ever present. Dog owners, based on the advice of their vet, can plan vaccination solutions tailored to their dogs’ particular needs. These requirements can be reviewed during regular veterinary health checkups and altered as needed. When vaccination rates in the population fall below certain levels, the risk of disease outbreaks increases. Vaccinating to protect dogs therefore makes good sense and the benefits to both individual dogs and their wider community are clearly evident. Vaccination also can prevent terrible suffering, and even death, in cats. For example, with feline leukaemia, 80-90% of cats infected die within 3-4 years. But vaccination can help prevent this. Thanks to vaccination helping to keep disease levels down, less than 1-2% of healthy cats in the world are infected by feline leukaemia. As with dogs, vaccination by responsible owners has kept a check on many diseases, but control is not the same as eradication According to the PDSA, with over a quarter of the cat population never having been vaccinated, diseases such as feline leukaemia, as well as infectious enteritis, chlamydia and cat flu, are still around. “Disaster could be ready to strike,” says Dawn. “The new cat on the street, the stray that sneaks in through the cat flap; they could be harbouring disease, which could infect your cat if it is not fully protected”. She recommends cat owners talk to their vet about how best to protect their cat, and what vaccinations they need. This can depend on a cat’s lifestyle and contact with other cats. 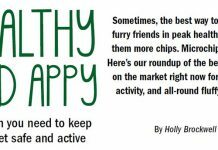 “While NOAH’s research showed 50% pet owners would spare no expense to treat their pet if it was ill, vaccination is the most effective and one of the least expensive ways to keep your cat healthy in the first place,” she adds. 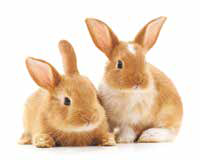 Protecting the health and welfare of pet rabbits also involves taking a proactive approach to preventative healthcare. Vaccination is an important part of this approach and is widely recommended to protect rabbits from two very serious viral infectious diseases – myxomatosis and rabbit haemorrhagic disease. In some cases, infection will result in rabbits needing prolonged intensive care treatment: in many cases the most serious viral diseases of rabbits are fatal. Again, rabbit owners should talk to their vet about appropriate vaccination. In addition to the diseases that we can vaccinate against, a whole range of parasites can live inside or on our pets, affecting their health and wellbeing. Some parasites can even pose a risk to people too. Putting in place a preventative plan of action for common parasitic infections has the benefit of avoiding clinical disease and unpleasant infestations of e.g. worms or fleas. While some signs of parasitic infection are noticeable (such as a scratching dog) in many cases we will not see any signs, which makes a proactive parasite control plan even more important. We have a duty of care to proactively protect our pets and families from these risks. 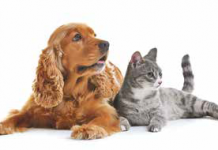 Authorised antiparasitic veterinary medicines are widely available from veterinary practices, a range of pet supply stores and pharmacies to control common and important parasites. Most pets will have a similar risk of exposure to the most common internal and external parasites should be treated regularly to control them. Again, PDSA says that UK pet owners take these risks seriously, with an estimated 87% of dogs treated for worms and 82% treated for fleas. There are also individual risk factors for parasite infection such as a pet’s age (young and old are at greatest risk), health status, environment (outdoor access, staying in kennels/catteries), lifestyle (access to rodents, slugs, raw meat), location and travel – it is well worth talking to your vet or pet care specialist for advice. There are scientifically proven links between pet ownership (particularly dog ownership) and a healthier heart. Reasons range from the increased exercise that pet owners gain from walking their dogs, through to a reduction of stress in the workplace, to protecting against respiratory infection and lowering blood pressure. However, just like people, pets – particularly cats and dogs – can suffer from heart disease. Approximately 10% of pets that visit vet practices are diagnosed with a heart condition, primarily but not exclusively those of more senior years. Symptoms to look out for include coughing (especially at night), a decrease in appetite and tiredness on walks. If you think your pet may be suffering from heart disease, contact your vet who will be able to advise you on the best treatment, diet and exercise. When it comes to keeping your pet’s heart healthy at any age, an ongoing exercise and fitness routine is key, as is a suitable and balanced diet. For exercise, whether it’s a long walk in the local park or something more structured such as agility training for your dog, it is very important for owners to keep a regular fitness routine for their pet. It is not only beneficial for keeping their heart healthy, but also for keeping them mentally stimulated – and it can do us a power of good too. Exercising a dog provides a powerful stimulus to getting outside into the fresh air, even when the weather might make us want to just curl up in front of Netflix! Dogs in particular need lots of exercise as part of an active lifestyle to maintain good heart health. With regular exercise their chance of obesity decreases, and in turn, heart disease and mental health issues. As part of knowing more about the normal state of your dog, with a view to being able to spot when things may be wrong, some vets and experts now recommend finding out and monitoring your dog’s Resting Respiratory Rate. You can do this manually, or there are several handy apps for your phone that can help. 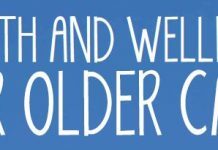 If you familiarise yourself with what is normal, then if there are changes, these can act as an alert to talk to your vet, even if your dog seems outwardly healthy. This simple thing can help with both the early detection and monitoring of heart disease and may help your dog live a longer active life. 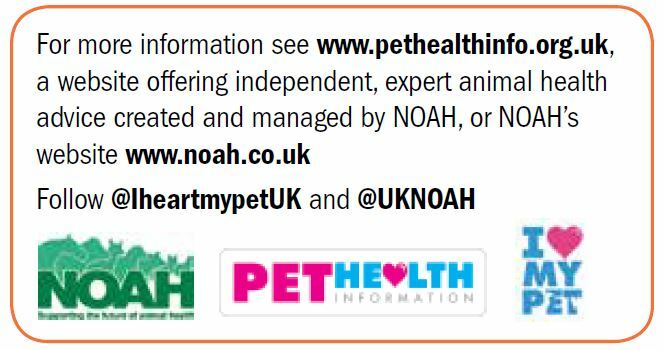 NOAH’s pet owner research contains light-hearted findings that many owners can laugh about and relate to, but there’s a serious message at its heart. As a nation, we care deeply about our pets and they’re a huge priority for us. It’s heartening to see this level of love and care, and it’s important to make the most of these relationships by making sure that the healthcare needs of our companion animals are met at all times. This means seeking expert, independent advice from veterinary and pet professionals to make sure that not only are our pets treated quickly and effectively when they’re sick, but also that they are having regular check-ups and preventative treatments to stop them becoming sick in the first place.